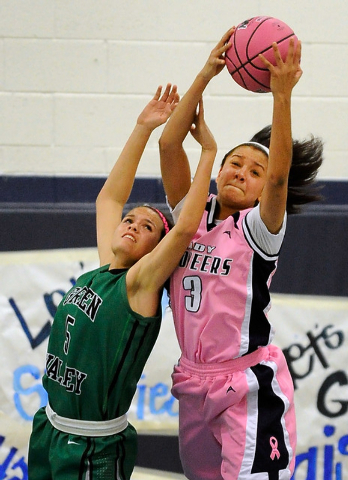 Daijhan Cooks hasn’t lost a Northeast League game in her three seasons on Canyon Springs’ girls basketball team. The 5-foot-9-inch junior post wasn’t about to let that change on Monday. Cooks racked up 22 points and 17 rebounds to help the host Pioneers secure their third straight league crown with a 68-60 win over Green Valley. 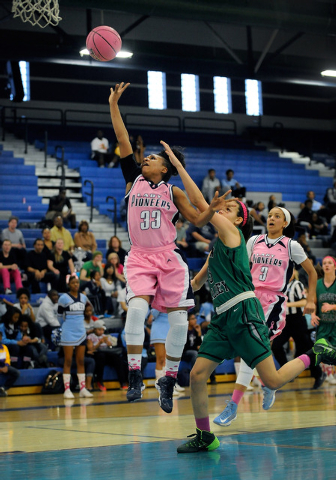 It was the 35th consecutive league win for Canyon Springs, which will be the Northeast’s No. 1 seed for next week’s Sunrise Region playoffs. The Pioneers (19-2, 9-0 Northeast) are undersized, starting two 5-9 posts, but owned the paint Monday, outscoring the Gators 56-26 in the key and holding a 49-33 rebounding edge. Cooks had 11 of Canyon Springs’ 22 offensive rebounds. 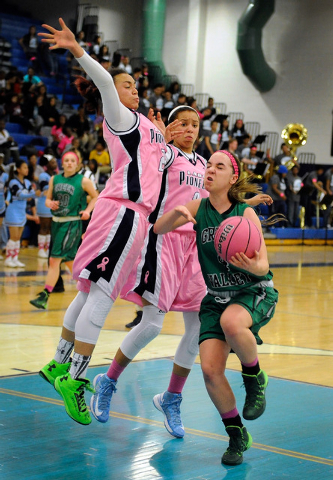 Canyon Springs never trailed, but never felt comfortable until late in the game. 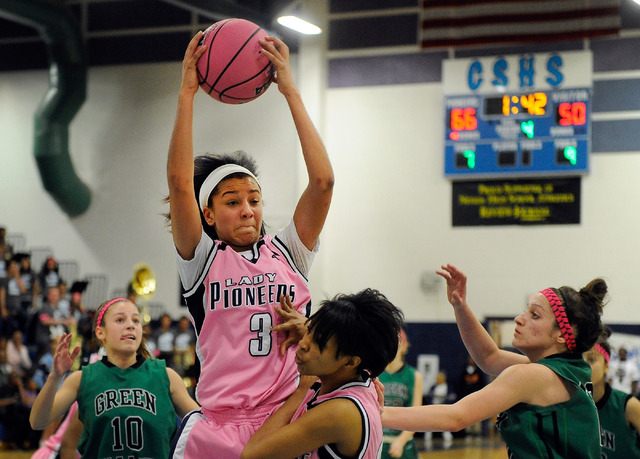 The Pioneers threatened several times to pull away, but couldn’t shake Green Valley until a 10-0 run gave Canyon Springs a 66-49 lead with two minutes to play. The Gators (17-9, 7-2) scored five points in the final 27 seconds to pull within single digits. 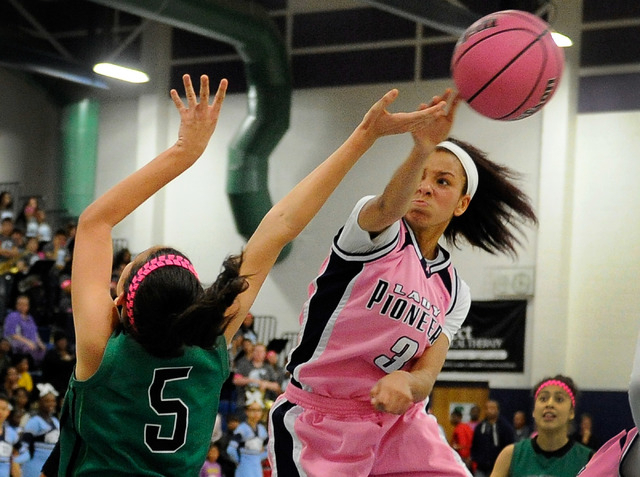 Cherise Beynon added 22 points and 10 rebounds, and Alexia Thrower had 16 points and 10 rebounds for the Pioneers. 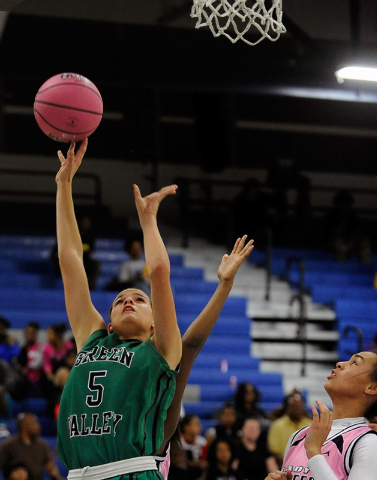 Also undersized in the post, Green Valley couldn’t get its perimeter game going, making just three of its first 20 3-point attempts and finishing 5 of 23 (21.7 percent) from long range. 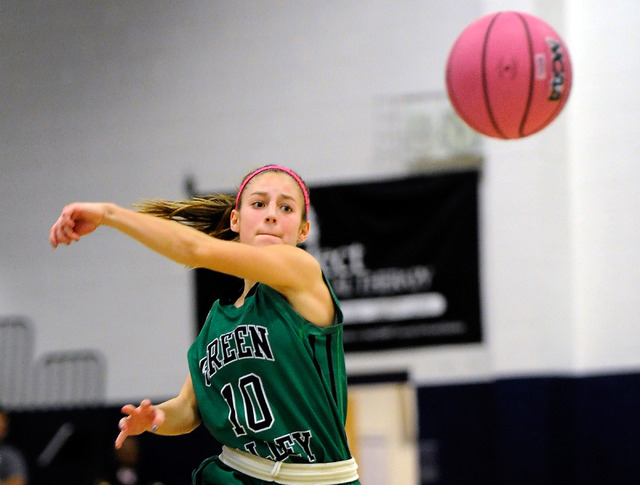 Maggie Manwarren led the Gators with 21 points, and teammate Brooke Haney added 11 points. Contact reporter Bartt Davis at bdavis@reviewjournal.com or (702) 387-5230.